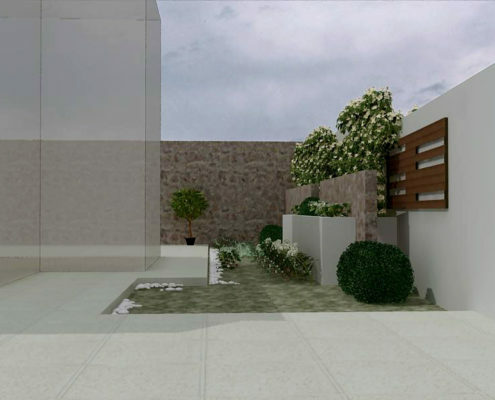 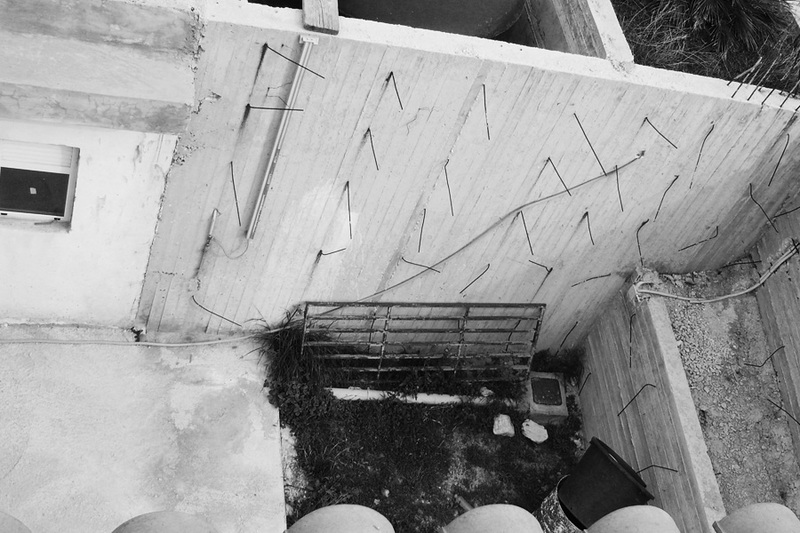 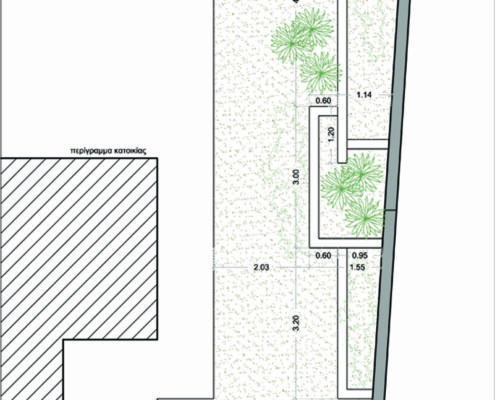 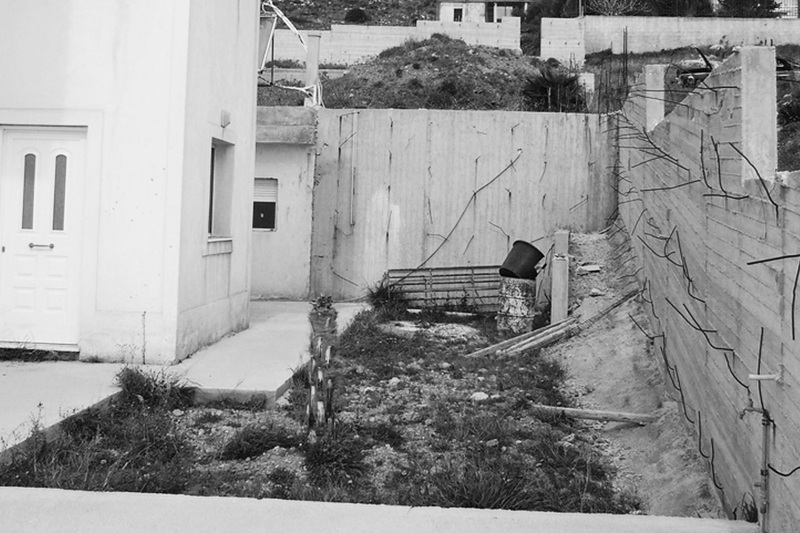 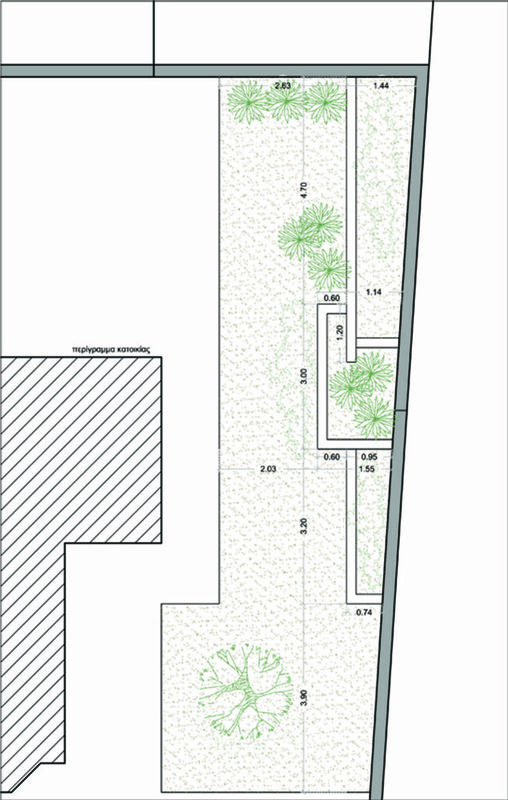 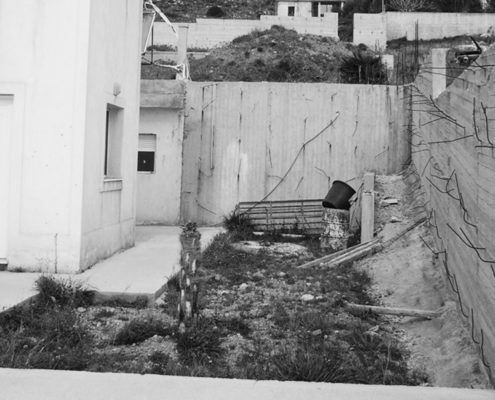 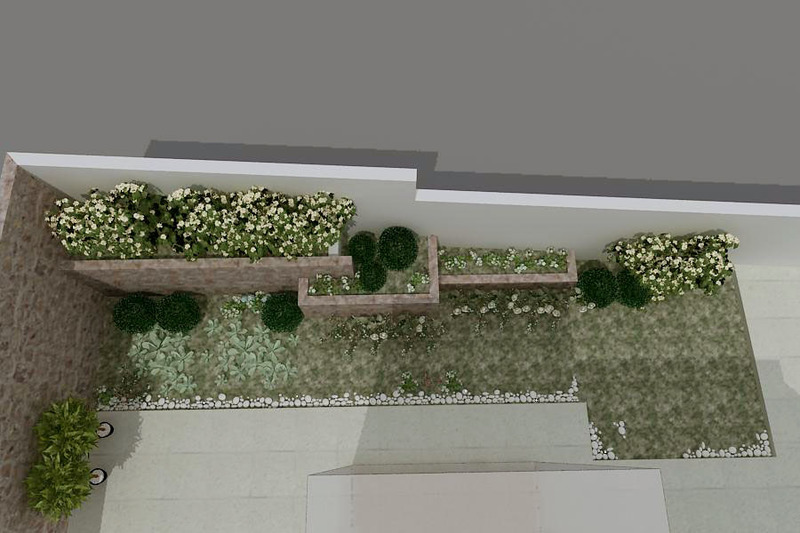 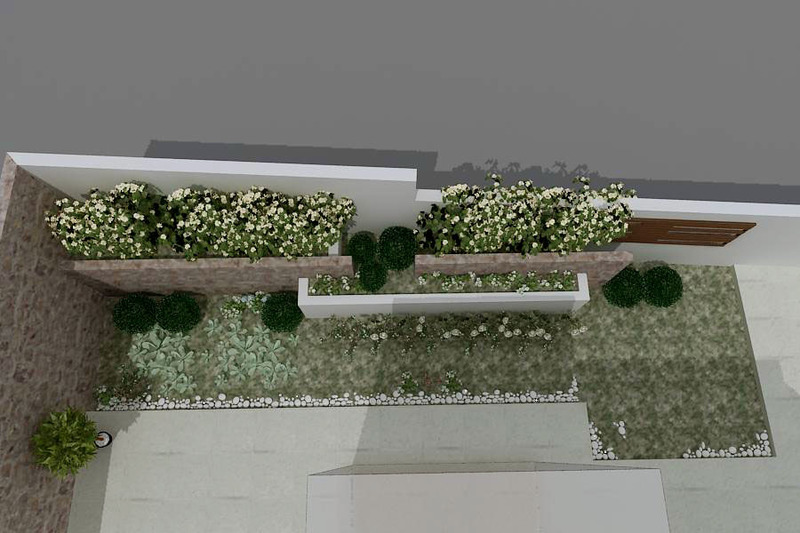 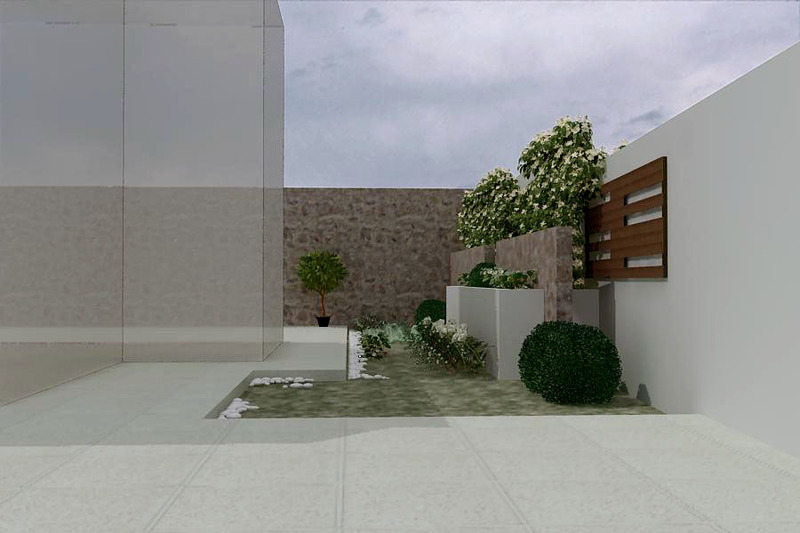 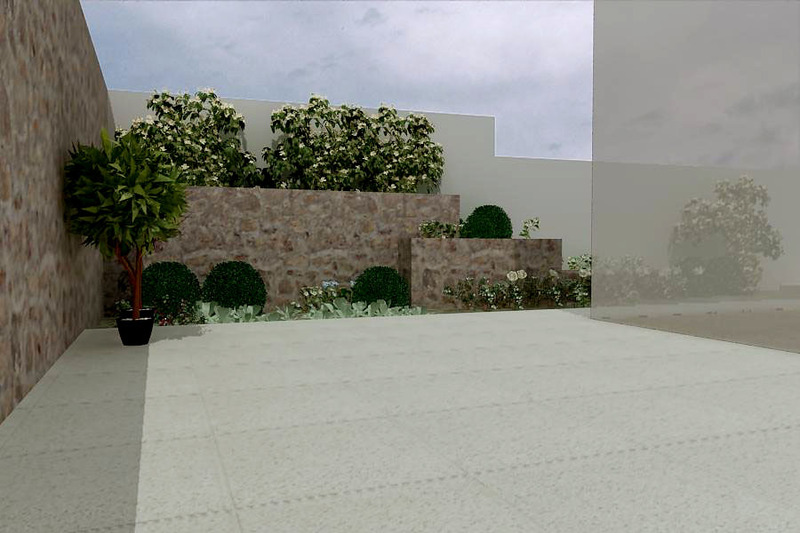 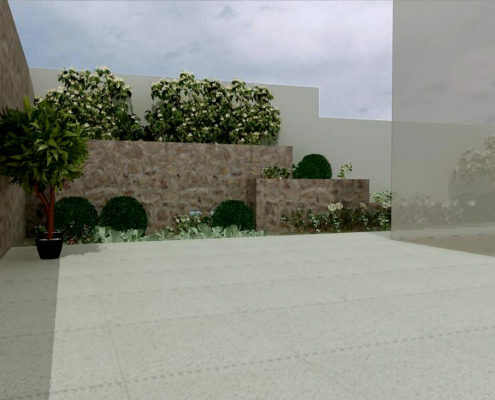 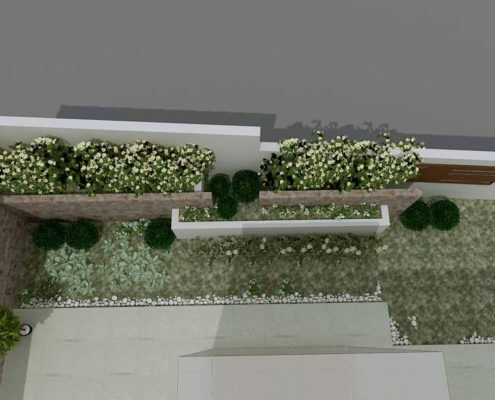 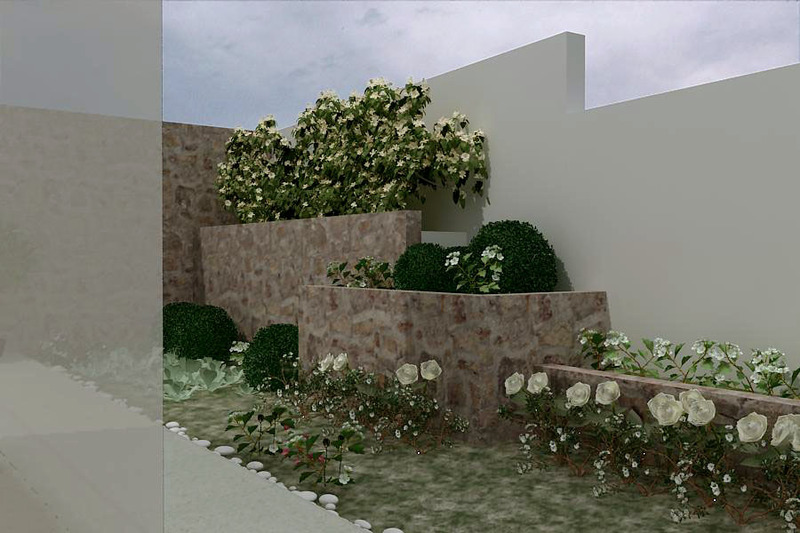 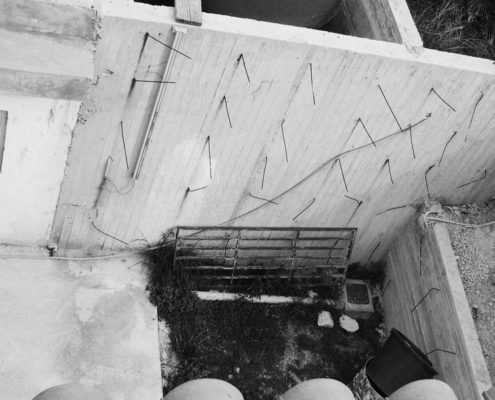 The brief concerns of the design of a small garden of a house near the sea, in Kalyvia, in Attiki, Greece. 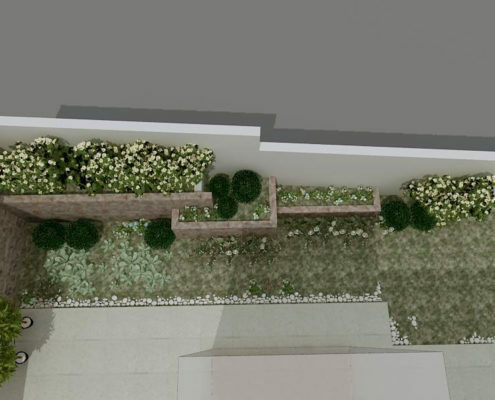 The landscape is uncompleted and the owner wished to have a nice garden with flowerboxes in order to reduce the big height of the walls surrounding the borders of the site. 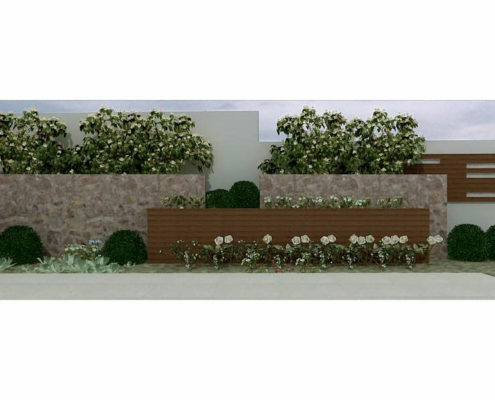 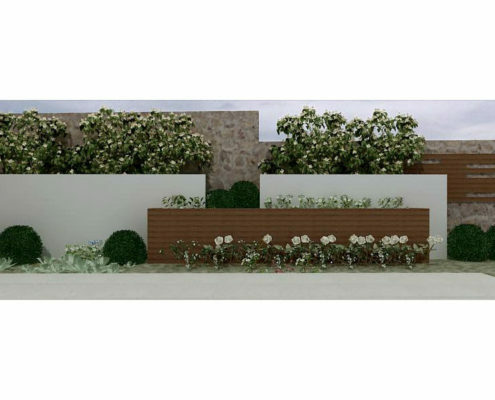 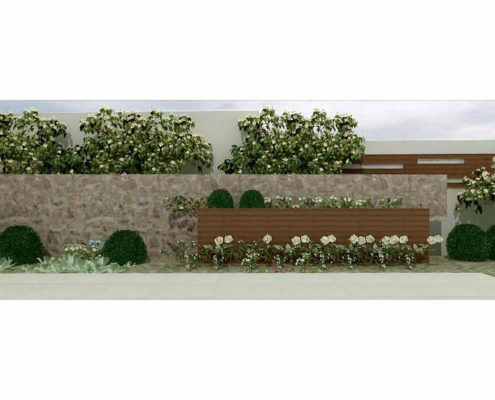 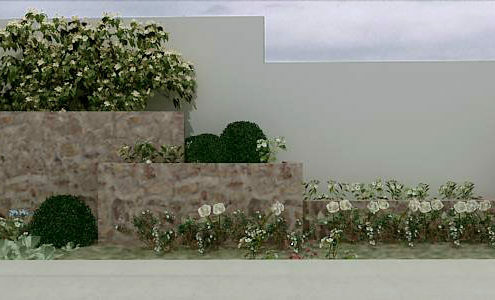 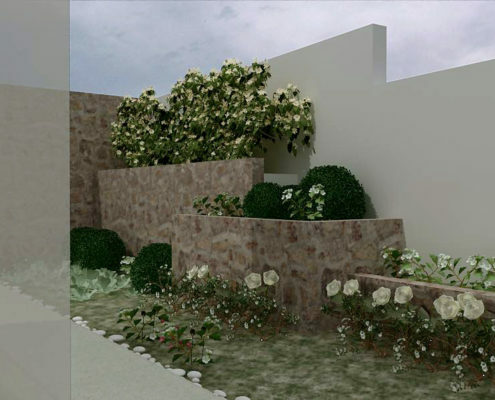 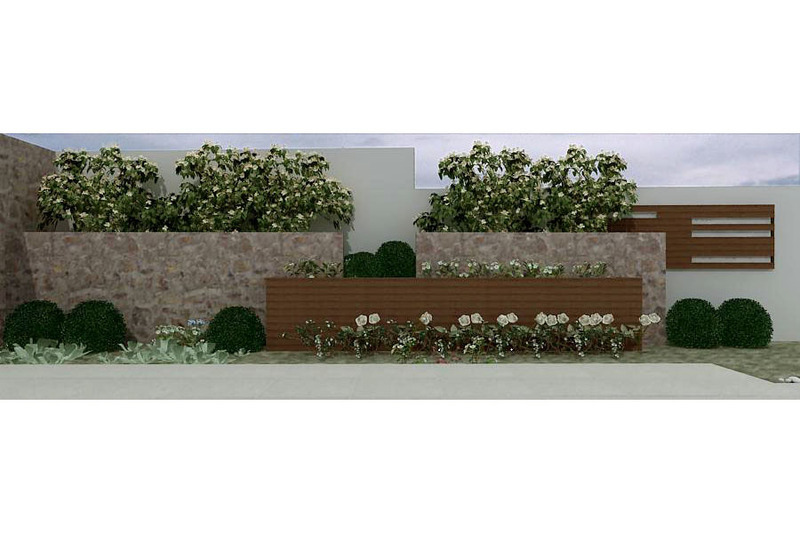 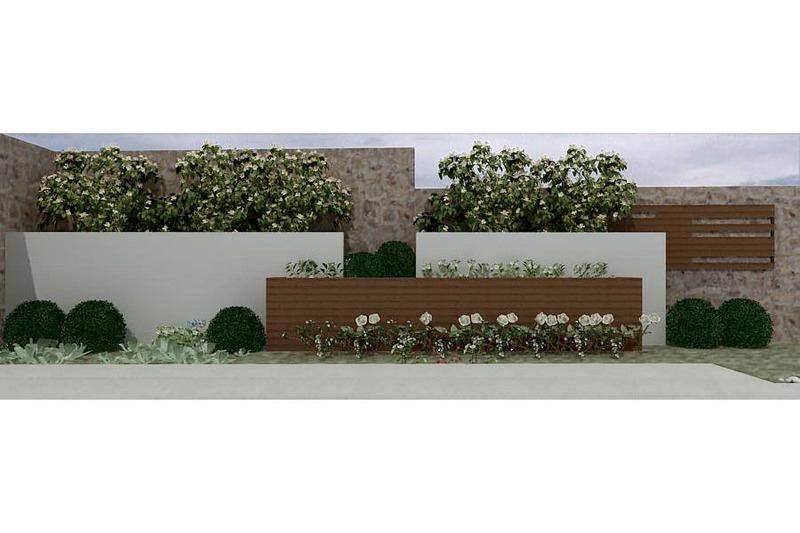 The design proposal includes flowerboxes made of stone in several combinations in different heights. 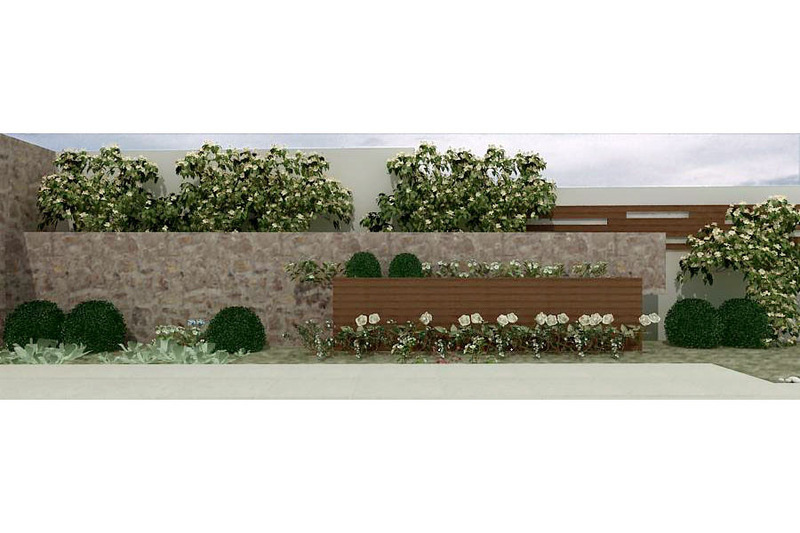 The proposed materials are stone, cement and in some cases wood deck.